Does your product have any branding elements? Have you chosen original brand names, product names, logos, and product designs (if applicable)? Have you read the USPTO Trademark Basics Guide? Have you consulted with a trademark lawyer, or registered your trademarks on your own? Trademark protection is one area where open source hardware creators often choose to keep their intellectual property closed rather than open. Using unique brand names, product names, and logos serve a valuable purpose in signaling the source of a product and letting downstream users know that they are using a product made by its original creator. As trademarks serve as an indication of who is responsible for a specific piece of hardware, it is important to make sure that you are the only one using your trademark. In most cases it does not make sense to openly license your brand name, product names or logos. For more information about why trademarks are a useful tool for open source projects, see these articles here and here. A product’s name, any logos used on its packaging, the physical product or certain documentation may be subject to protection by trademark law. How robust this protection is depends whether the name or logo is descriptive of the product itself or whether the name is more creative and less tied to what the product is or does. Note that certain names, i.e., generic or purely descriptive names might have no or very little protection. If you plan to use your project commercially, registering your brand name, product names, and logos as registered trademarks with the United States Patent and Trademark Office (USPTO) can provide a broader protection and benefits than that afforded to trademarks that aren’t registered. Registration is relatively inexpensive, but it can be a complicated process–you may want to consult with a trademark attorney before attempting to register your marks. OSHWA may also be able to connect you with law school clinics that provide this service at reduced rates. Learn more about trademarks and registration in the U.S. on the USPTO’s website. Additionally, a product’s design itself can serve as a form of trademark if the design is signals to consumers the source of the product. This protection may not be as robust for a number of reasons discussed in this section. Trademark law prevents other people from using your brand name or logo on their own hardware. It does not stop them from merely copying your hardware, so long as they do not use your name or logo. It also does not stop them from copying your product’s function so long as they do not copy its trademark-protected design. Lulzbot’s branding is fully protected because their brand name is unique, it does not simply describe what the product is, and it features a unique and original logo. It is a registered trademark in the US. By contrast, the name of the “Open Source Laboratory Sample Rotator Mixer and Shaker” has very little trademark protection: the product name literally describes what the product is and they do not use any logo at all. 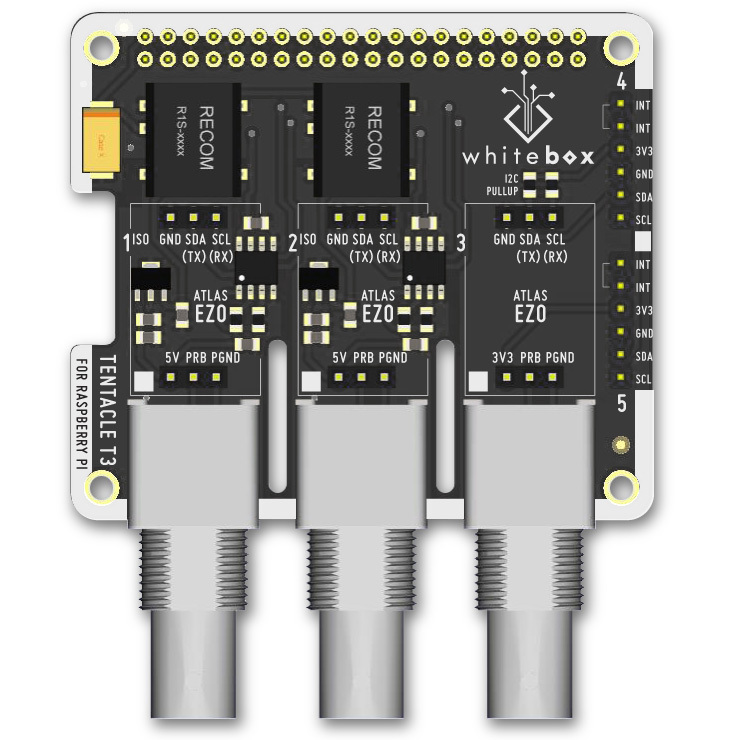 Similarly, the Whitebox circuit board design (as opposed to the Whitebox brand name and logo) has no product design protection, it is purely functional and has no creative design elements. In the middle of the range, Open Theremin’s product name (on its own) is less protected than when presented as part of its logo: the product name generally describes what the product is, so it offers little protection, but when stylized with the font treatment and design elements, it becomes more protectable. The Mycroft Mark 1 likely has some product design protection: it involves a creative design that is not dependent on the functionality of the AI assistant circuitry, but this protection is complicated (see below). The name of the “Open Source Laboratory Sample Rotator Mixer and Shaker” has very little trademark protection: the product name literally describes what the product is and they do not use any logo at all. The Whitebox circuit board design (as opposed to the Whitebox brand name and logo) has no product design protection, it is purely functional and has no creative design elements. Open Theremin’s product name (on its own) is less protected than when presented as part of its logo: the product name generally describes what the product is, so it offers little protection, but when stylized with the font treatment and design elements, it becomes more protectable. Lulzbot’s trademark is fully protected because their brand name is unique, it does not simply describe what the product is, and it features a unique and original logo, and is a registered trademark in the US. Under trademark law, products that are actually sold to customers may receive some protection over their product design. This type of protection is called “Trade dress.” Trade dress protection may apply if the product design is not essential to the use or functionality of the product, if it does not affect the cost or quality of the product, and if the design has become so associated with that specific product that users know the design as a sort of logo for the product itself. 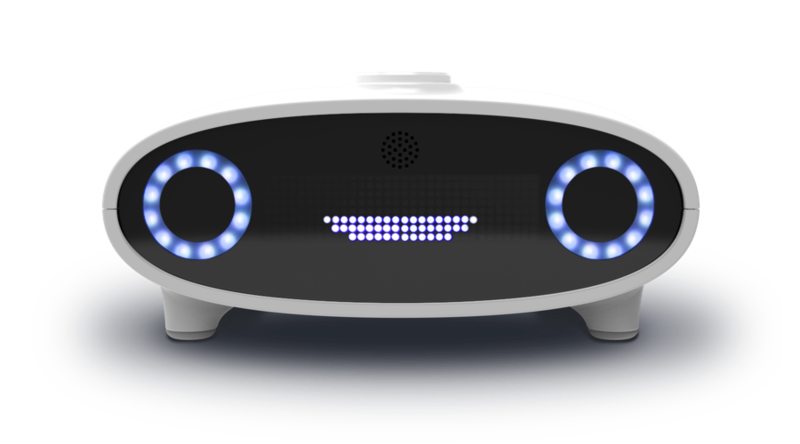 For example, Mycroft may be able to argue that the face-like shape of their speakers is purely a design choice, which does not affect the quality of their product. If users have come to know that shape as uniquely being a Mycroft product, they may be able to stop other users from making similarly shaped products. The fact that Mycroft allows downstream users to access the design files for their product and because they have licensed the product under the CERN OHL, which allows downstream users to manufacture or distribute the product (including its design) would make it difficult for Mycroft to rely on trade dress to protect their product, as they’ve arguably invited other products to use their unique design for their own products. But, if another manufacturer were to try and use Mycroft’s brand name or logos in selling a competing product, Mycroft would have protection against that, because Mycroft has a registered trademark in the U.S. Under copyright law, the artistic elements of a project may be protectable, if they are original, unique, and creative. However, the purely functional elements of a product’s design are not protected by copyright law. This line can be blurry and difficult to ascertain though, as explained in detail here. For example: Mycroft may be able to argue that the unique face-like shape of their speaker is artistic and not purely functional, and thus it may qualify for some form of copyright protection if a downstream user were to make their own products in a similarly shaped case. Importantly, Mycroft has licensed the product under the CERN OHL, which allows downstream users to manufacture or distribute the product (including its design), with Mycroft’s permission, thus they have opened up the product for other users to be able to legally make their own Mark 1’s. There are other rights that may be related to the branding of your hardware. One of these rights is a design patent. Unlike utility patents that protect functional elements of hardware, design patents protect ornamental elements of your hardware. In order to obtain a design patent you must apply to the relevant national authority (the United States Patent and Trademark Office is the national authority in the United States). That process usually involves – although does not strictly require – hiring an attorney. If you do obtain a design patent on your hardware, you must license that patent in a way that it would not prevent others from making use of and building upon your hardware. In many cases, the requirement to openly license a design patent on open source hardware makes it unwise to obtain the design patent in the first place. If you believe that a design patent would be useful for your specific hardware, be sure to consult an attorney so that you fully understand how the design patent would interact with the openness of your hardware. AXIOM is a name that does not merely describe what the hardware does. Therefore it could be protected by trademark, which would allow AXIOM to allow others to copy the camera while preventing others from suggesting that the new camera comes from AXIOM directly. The Paper Spectrometer Intro Kit name is descriptive and unlikely to be protectable by trademark. However, “Public Lab” may be protectable as a trademark. That would allow Public Lab to distribute Public Lab branded kits and prevent others from suggesting that their kits were distributed by Public Lab. Registering the trademarkable elements of your product with the USPTO is an entirely optional, but highly recommendable, choice for OSHWA projects. If you wish to register your brand name, product name, logo, or (possibly) your product design (its “trade dress”), you should consult with a lawyer. While it is possible to register on your own through the USPTO website and registration can be relatively inexpensive (often under $1,000 for a single registration), the process can be complicated. A trademark lawyer is best suited to advise whether your brand name, product name or logo are likely to be protectable, or encounter hurdles in registration, as well as assist you in properly drafting your registration and ensuring that your marks are properly used after registration. If you have questions or need assistance finding a trademark lawyer, OSHWA encourages users to write in to certification@oshwa.org. OSHWA has also partnered with the Cardozo Law School Tech Startup Clinic. The clinic has agreed to receive referrals from OSHWA for free and low-cost legal advice regarding the certification process. If you do not wish to register your marks, you may still have some legal protection, but it can be more difficult to enforce your rights. If you prefer to leave your project as open as possible and do not wish to restrict downstream users’ ability to use your brand name, product name, logos, or product designs, you can do so by simply not enforcing your rights to protect these elements. There is no “open trademark license” currently available, but there have been attempts to create licensing regimes that experiment with the boundaries of an “open” trademark license.